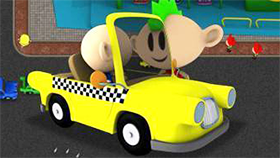 Death Chase is a racing - action game developed by GAMETORNADO. 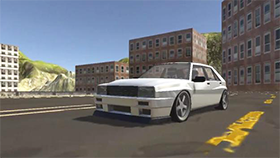 The game has simple graphics, suitable for all ages, especially those who love cars. You can play this game on the web because it is a flash game. The first impression of this game is that it has more than 100 stages with different maps for you. Your task is to win all the races. Game also allows you to create a map of your own. The second impression is the system upgrade of the game. There are many features that you can upgrade to your car. You need money or diamond to upgrade your car. You can make money with races. And after completing a race, you will be joining the "lucky spin", which will give you diamonds. Use Z to jump / slam. Use X to launch rocket. Upgrade the diamond features as soon as possible. After each race, you will have stars. You can use the stars to buy new cars.